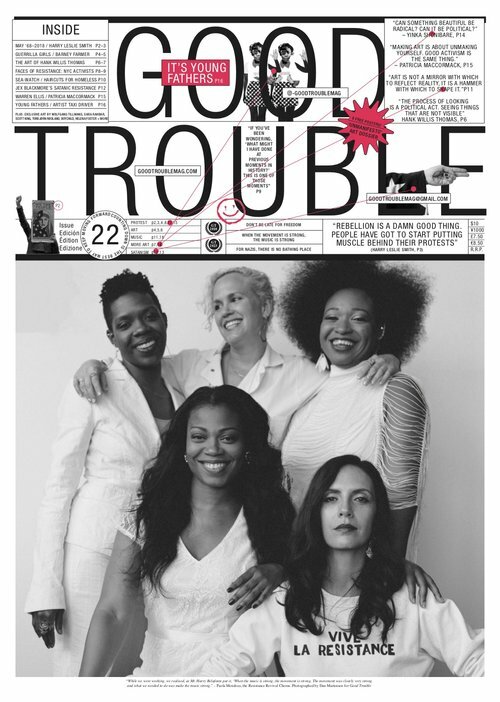 The second issue of Good Trouble magazine – the increasingly confusingly numbered 'Good Trouble Issue 22', created by former Dazed & Confused editor Rod Stanley and designed by graphic virtuosos Richard Turley and Sophie Abady. Huge broadsheet newspaper format (page size 23” by 16.5”)! Inky zine joy! 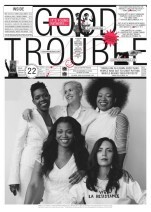 32 PAGES of art, creativity, protest and resistance! Includes pull-out 'Unmanifesto' poster section featuring exclusive art by Wolfgang Tillmans, Sara Rahbar, Boychild, Scott King, Torbjørn Rødland, Helena Foster + more, curated by Francesca Gavin.